In "Will the new iPhone 5 work in Bhutan? ", we suggested waiting until more information becomes available about cutting down a full-sized SIM (or a micro-SIM) into a nano-SIM. Well, here's some good news for iPhone addicts. Reports are now surfacing that such a conversion is possible by carefully cutting down the bigger SIMs. And although nano-SIMs are thinner than the larger SIMs, the iPhone 5 socket can also accommodate a cut-down SIM, which means thinning down the card is not necessary. 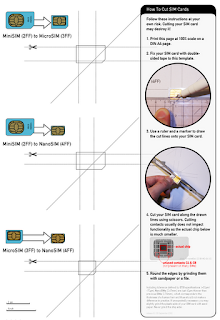 To cut your SIM, either use a special nano-SIM cutter or follow the instructions in this post. My recommendation for B-Mobile and TashiCell: Until (and if) nano-SIMs are procured directly, equip the sales offices with nano-SIM cutters. I am starting a business and I need a website, so what are my options? Your options depend on the type of business you have in mind. For a small, local business, a Facebook page often suffices. It is simple to create and maintain, totally free, and offers good exposure as most Internet users in Bhutan are active on Facebook. The page can include basic information such as opening hours and phone numbers as well as photos and events. By “Like”ing your page, users will get your updates on their news feed. Examples of local businesses using Facebook pages are Radio Valley, the Folk Heritage Restaurant, and Junction Bookstore. To start, go to facebook.com/pages and click “Learn more about Pages” or “create your own”. Once you have enough fans, visit facebook.com/username to claim your own ‘vanity’ Facebook address (such as facebook.com/TheMomoFactory). If your business is facing customers outside Bhutan, or you need more than what Facebook has to offer, you will need a “real” website. There are some fantastic, free and secure services that will host as well as help you build and update your website. Examples are Google Sites (sites.google.com), Yola (yola.com), Wix (wix.com) and WordPress (WordPress.com). No IT degree is necessary to use these services, although it usually helps to sport some gusto and computer savviness. To compare the various offerings, visit goo.gl/1bwDk. Apple’s newly announced iPhone 5 uses a nano-SIM card, which is smaller and thinner than the micro-SIM used by the iPhone 4, which in turn is smaller - but not thinner - than the full-size SIM sold by B-Mobile and TashiCell. If you are fantasizing about using an iPhone 5 in Bhutan, wait until it is confirmed that a standard SIM can be cut down to fit the tiny iPhone 5 socket. If you are not comfortable with taking charge of your own website, or you just don't have the time or the will, you will need to hire the services of a web developer. Initial costs can be quite high, and as web sites need constant updating and patching, consider also a maintenance contract. Make sure you hire someone reliable; many businesses in Bhutan have had a disappointing to disastrous experience due to hiring unreliable web developers. It is therefore important to insist on recommendations, and make sure you talk to past clients. 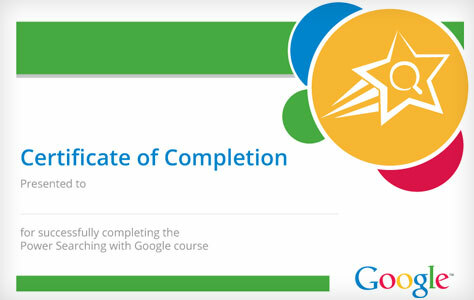 Upgrade your Google Search skills in an upcoming free online course! Looking for something interesting and useful to do during the long holiday? Power Searching with Google, a free online course by Google, opens September 24. In this course you'll learn tips and tricks for finding what you're looking for using Google Search. The course is two weeks long, with three 50-min classes per week. You can take the classes according to your own schedule during the two-week window. An official certificate is provided upon completion. This course can be useful to teachers, librarians, school and college students and to anyone who uses Google to find answers to simple questions or conduct deeper research. Does Windows Phone 8 support Dzongkha? Dzongkha on mobile phones still presents a major challenge. The Dzongkha-enabled Nokia N900 that we developed back in 2009 as a proof-of-concept is still the only phone that has full support of both the official Dzongkha keyboard and perfect rendering of Dzongkha/Tibetan fonts. 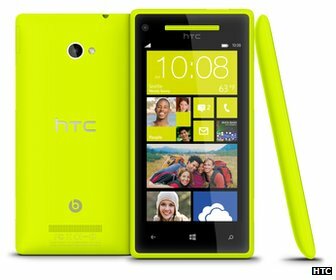 HTC and Nokia have recently announced new phones running Windows Phone 8, Microsoft's recent attempt to grab some market share for mobile devices. Display. The following display languages are supported: Chinese (Simplified and Traditional), Czech, Danish, Dutch, English (UK and US), Finnish, French, German, Greek, Hungarian, Indonesian, Italian, Japanese, Korean, Malay, Norwegian (Bokmål), Polish, Portuguese (Brazil and Portugal), Russian, Spanish, and Swedish. The specific display languages that are included in your phone are chosen by your mobile operator or phone manufacturer. On-screen keyboard. The following on-screen keyboard languages are supported: Chinese (Simplified and Traditional), Czech, Danish, Dutch, English (UK and US), Finnish, French, German, Greek, Hungarian, Indonesian, Italian, Japanese, Korean, Malay, Norwegian (Bokmål), Polish, Portuguese (Brazil and Portugal), Russian, Spanish, Swedish, Turkish, and Ukrainian. These input languages are available on all phones, regardless of which display languages your mobile operator or phone manufacturer chose to include. None of the supported Display languages requires complex rendering (such as letter stacking), which might hint that Windows Phone 8 has no support for complex scripts. Whether the support is there but just not enabled remains to be seen. In the meantime, if what you need is a Dzongkha-enabled mobile phone, don't count on Windows Phone 8. 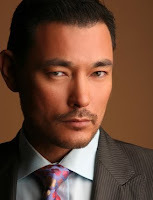 What's Kelly Dorji's Bacon Number? "My Bacon Number is 0!" 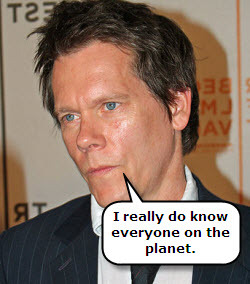 If a person appeared in a film with Kevin Bacon, the person's Bacon Number is 1. If person appeared in a film with someone who was in a film with Kevin Bacon (and so has a Bacon Number of 1), the person's Bacon Number is 2. In general, if you appeared in the same film with someone whose Bacon Number is N, your Bacon Number is N+1. Kevin Bacon's own Bacon Number is 0. According to Google, Dzongsar Jamyang Khyentse Rinpoche has a Bacon Number of 2, and Kelly Dorji has a Bacon Number of 3. Google's system, however, is not perfect. Searching for Tshewang Dendup's Bacon Number does not return a result, although he played alongside Sonam Lhamo. And Google was not able to compute Jamyang Jamtsho Wangchuk's Bacon Number, which is 2. Jamyang played the young Dalai Lama in "Seven Years in Tibet" alongside Brad Pitt, who played with Kevin Bacon in "Sleepers". If you are a Twitter and you got a DM (Direct Message) from someone you follow which is similar to this one, avoid clicking on the link. It's a scam. If you do click on the link, it will take you to a website which looks like Twitter, but it's not Twitter. It's run by scammers. They will ask that you enter your Twitter username and password, which they then use to take over your account and send similar messages to followers. That's how the scam spreads around. Here is the website that steals your credentials. It looks like Twitter, but it's not. How to tell? Look at the address bar, which shows the website you are on. It doesn't show twitter.com. It shows tvivvter.com. It's also not secure - the green lock is not there. Who owns tvivvter.com? According to the records, a Shanghainese named "Chen Wen" . Maybe. And maybe not. If you are a victim, follow Twitter's guide to "My Account has been compromised". And this time, take a look at the address bar! Upcoming on K2: What are my website options? For the answer, check out the "Ask Boaz" column in the upcoming issue of Kuensel's K2 weekend magazine. 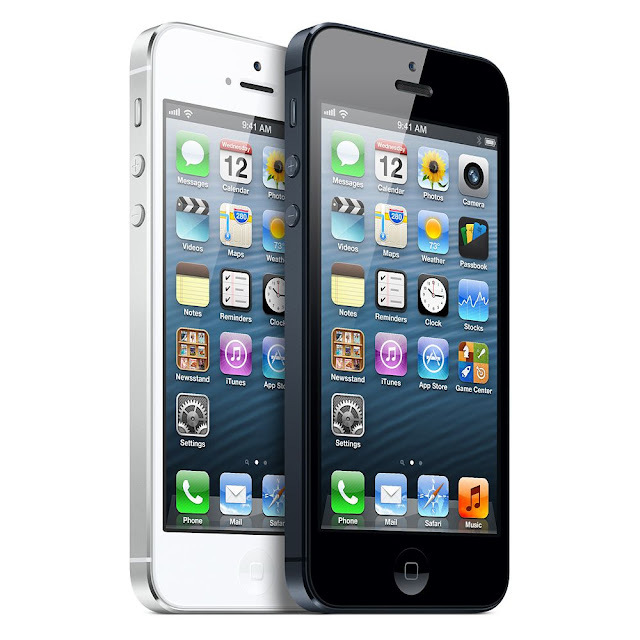 Will the new iPhone 5 work in Bhutan? "I need it, and I need it NOW!" Two years ago we wrote one of our most popular posts ever, "Will the new iPhone 4 work in Bhutan?". That post still gets plenty of hits. Visitors to the Kingdom are eager to know whether they should pack their unlocked smartphone before that hair-raising landing in Paro. The answer to that question was a definite yes - one just needs to chop the B-Mobile (or TashiCell) SIM card down to the micro-SIM size. 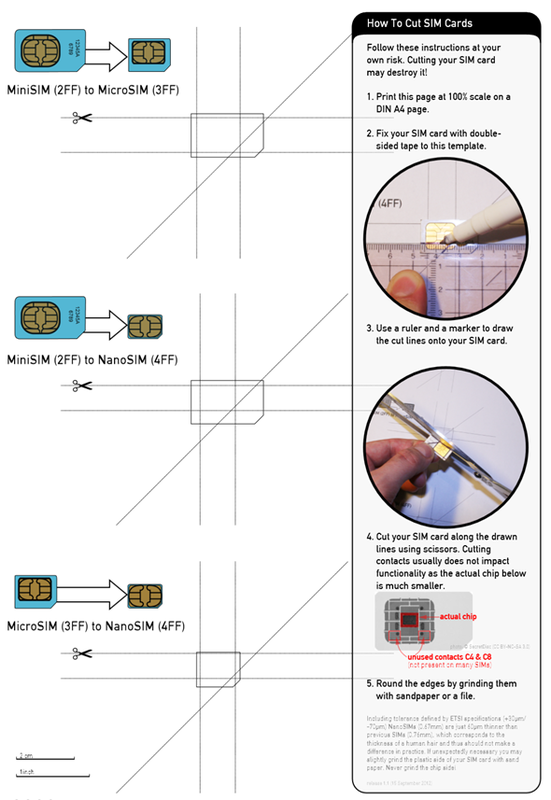 In theory, one could carefully cut a SIM (or a micro-SIM) down to a nano-SIM, since the physical contact sizes are the same. 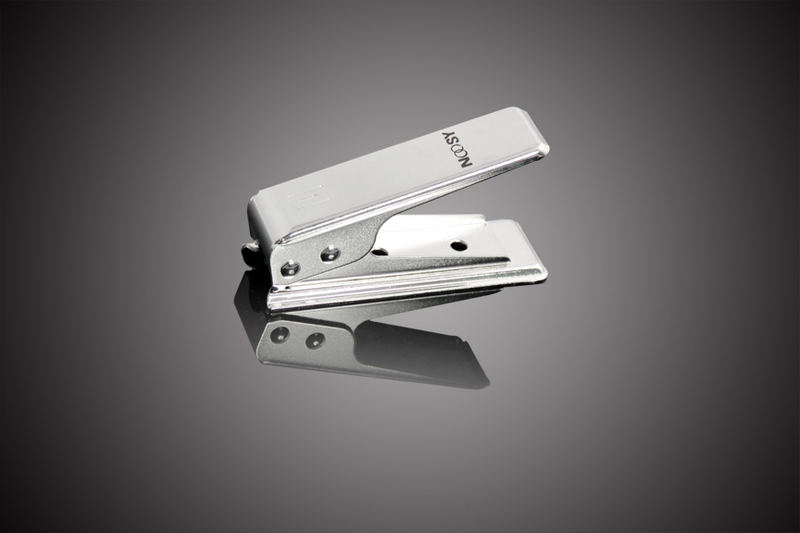 Nano-SIM cutters are already selling on E-bay. However, there is a caveat: In addition to being smaller, the nano-SIM is also thinner than the previous SIMs (0.67mm compared to 0.76mm, which is about 15% less), and so there is a chance that a cut-down SIM will be too thick to fit into the iPhone slot. Update (24/9/2012): Cut down SIMs fit the iPhone 5 tray. As far as I know, B-Mobile and TashiCell have not put out orders for nano-SIMs. The only option left for iPhone owners is to shave off that extra 0.09mm of plastic, perhaps using sandpaper. Whether this is possible without affecting the internal circuitry remains to be seen. The best strategy is not to jump and order an iPhone 5 (yet), but wait until more information is available. Watch this space for updates! In January 2012, the Delhi High Court ruled that the Indian Electronic Voting Machines (EVMs) used in the Indian elections are not tamper-proof. These machines are manufactured by Electronics Corporation of India (Hyderabad) and and Bharat Electronics Limited (Bengaluru). Two days following the ruling, the Election Commission of India (ECI) has ordered the manufacture of new machines: EVMs with Voter-Verified Paper Audit Trail (VVPAT). These modified machines will include printer that will issue a human-readable ballot of every vote. The first Bhutan democratic elections in 2008 employed the Indian EVMs manufactured by the same two Indian manufacturers. In August 2010, after a research group first demonstrated the vulnerabilities of the Indian EVMs, Chief Election Commissioner of Bhutan spoke to Business Bhutan about the EVMs' security. But all that was before the Delhi HC ruling. 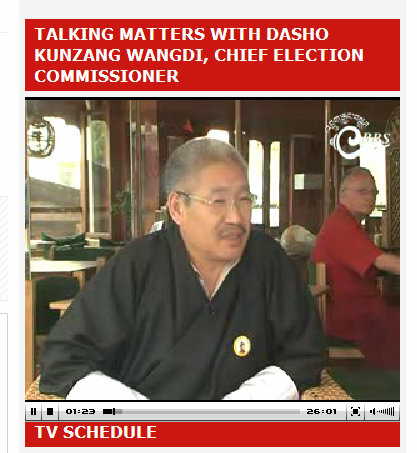 Should Bhutan keep using the same EVMs in the 2013 elections? If you want to learn more about the security of electronic and Internet voting, it's not to late to join the free Securing Digital Democracy course. Details in the video. People using BMobile b mindful of d fact that SMS service is not very prompt. Often the messages are delivered the next day. What can you do about it? There's no way to expedite delivery of messages - it's up to the mobile operator. You can, however, request a "Delivery Report" to track your outgoing text message. A delivery report is a short message confirming that an SMS was delivered to the recipient's phone. Note that whether the recipient actually opened the message and read it is a different matter. If you own an "unbroken" iPhone, you're out of luck. The late Steve Jobs decided not to expose this option. Why? I guess we'll never know. 2GB + Chillies = 1GB! These chillies, they are not good for your brain. That's why we Bhutanese people haven't made much progress! If you have a 2GB memory, you'll go right down to 1GB with all these chillies." 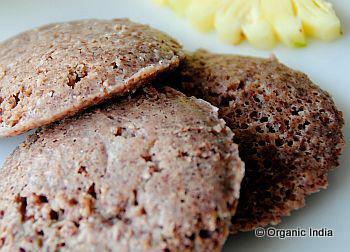 Red rice idlis. Recipe here. 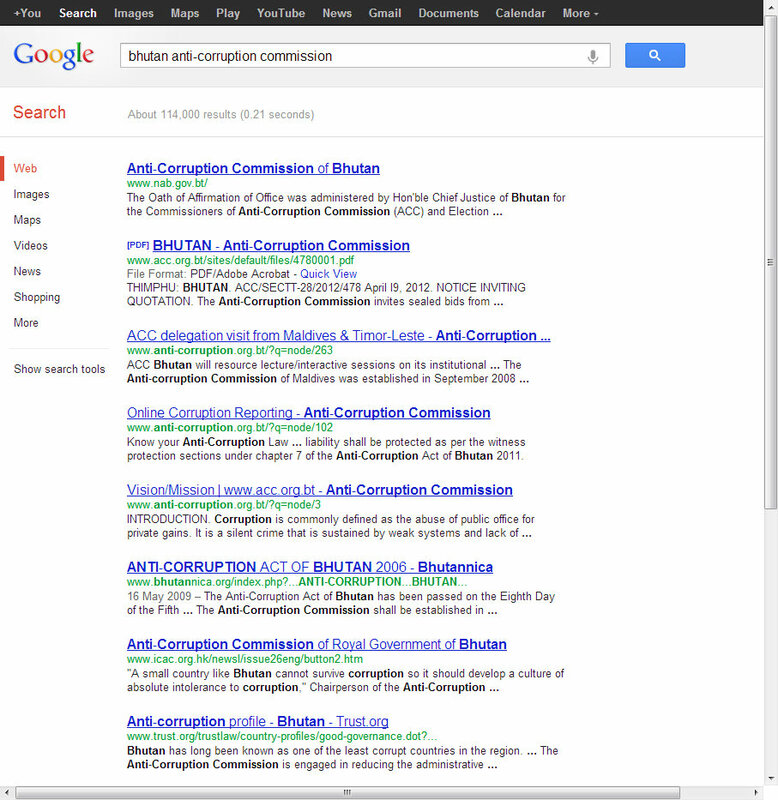 Searching Google for "Bhutan Anti-Corruption Commission", one would expect ACC's home page (www.anti-corruption.org.bt or www.acc.org.bt) to be the top result. But it's not. 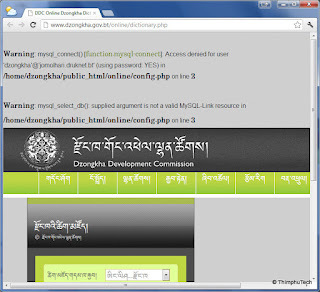 The first result is a page from the National Assembly of Bhutan. The second is a PDF file from www.acc.org.bt. The next three are again pages from the ACC's website, but they are not the website's home page. www.acc.org.bt | "If you care, you will dare"
The big banner on the home page, which contains the name of the organization ("The Anti-Corruption Commission of Bhutan"), is also unhelpful from the search engine's point of view. It's an image, not text, and Google cannot read images. There is a way to tell the search engine what's written inside the image, but the webmasters did not use that feature. Finally, Google does not like the idea of duplicate domains for the same website. 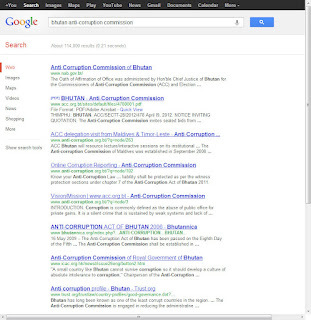 Why do we need both acc.org.bt and anti-corruption.org.bt? "If you build it, they will come" is only partially true for websites. You need to build it, but you also need to make sure people can find you. I created a website using Google Sites which I want to use with my own domain. I need a reliable hosting company. Can you recommend one? Google Sites, websites, domain names, hosting… Hold your yaks! Let’s get things in order. First, let us talk about the difference between websites, domains, and hosting. A website is a collection of files holding the content (text, photos, etc.) which is displayed to the user. These files need to be stored somewhere. They are stored on a server, which can be either owned by you, or - if you don’t want the headache involved in maintaining a server - by a hosting company. Whenever a user accesses the website, the server delivers the information back to the user. Like all computers on the Internet, the server has a unique Internet Protocol (IP) address, which is a sequence of numbers. For example, the IP address of BBS’s server is 202.144.155.2. If you want to read the news from BBS, just enter 202.144.155.2 in your browser’s address bar and click Enter. Try it! Most people are not very good at remembering sequences of numbers such as 202.144.155.2. That’s where domain names become useful. Domain names (like www.bbs.bt) are easier for people to remember. When you use a domain name, your browser automatically translates it into an IP address. Domain names are not free, however. They need to be purchased from a domain name registrar, a company that registers domain names. Check the table to see annual prices for domains. Naturally, you can only buy domains that are not already taken. Many companies (for example, DrukNet) double as hosting companies and domain name registrars. It is often convenient to use the same company for both, but it is not mandatory. For example, you can buy a domain name from DrukNet, but your hosting company can be in India. 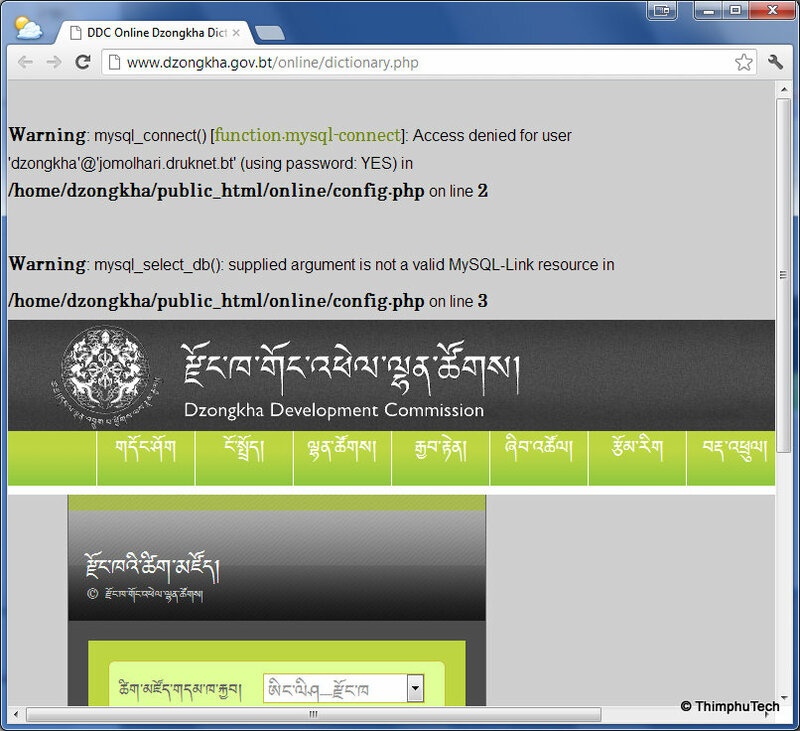 Or you can buy a domain name from a US-based registrar, but the server can actually be located in your Thimphu flat. Back to your original question: Google Sites is a service from Google that allows anyone to build a website with a few clicks, and Google also hosts that website for free - so your search for a reliable hosting company is over! The only missing piece is your own domain name. Just hop over to the DrukNet office and you can buy one in a jiffy. It's one thing if a shopkeeper prefers Facebook chatting to helping a customer - you can just go to another shop. But what do you do in this case? Bhutan Telecom recently introduced (or rather, re-introduced) the free Missed Call Alert (MCA) service. When you subscribe to the service, you don't need to worry about missing a call when your phone is switched off (or out-of-network). Once your phone is re-connected to the B-Mobile network, you will receive an SMS for each call that you missed (including international calls). Here's a sample SMS that you receive from the service. Note: the inconsistent capitalization is in the original message. You have Missed Calls from +97517XXXXX Called At 10:40 On 03/09/2012.It May be important to call back. Bhutan Telecom is pleased to inform all our valued customers that the Missed Call Alert service has been commissioned. Subscribe to FREE MCA and capture all the important calls you have missed while you phone is switched off or out of reach. All Postpaid users will be registered for MCA by default. Bhutan Telecom is so confident about this service that it is enrolling some users for this service without even asking for their consent. There is, however, a privacy issue with this service which BT forgot to mention. When you subscribe to MCA and someone tries to call you, in addition to the SMS you receive, the person calling you - the caller - knows when you switched your phone back on. How? Apparently, the caller also gets an SMS. Here's a sample message received by a caller. Note: Again, the inconsistent capitalization is in the original message. You tried to call +97517XXXXX at 10:40 on 03/09/2012. He/She is back in Network at 10:43 on 03/09/12. Try Calling Again. This "feature" - the SMS received by the caller - is not mentioned on BT's website. Basically, the caller now knows that (1) you're back on the network (2) you received a message about the missed call. There are various privacy issues with this feature, as well as some various odd situations this can create. For example, it allows people to follow you. Say you're out of Bhutan. Once you return and switch on the phone, anyone who called you during your absence will receive a message. Good or bad? To subscribe to the MCA service, send SUB to 707. To unsubscribe, send UNSUB to 707. 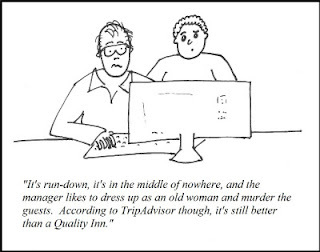 Since we wrote about TripAdvisor a year ago, the number of Thimphu restaurants covered on the world's most popular travel review website has more than doubled. There are now 43 restaurants on the list. Compare that to Siliguri, a busy city of 2 million with hundreds and hundreds of food joints: only 3 restaurants on TripAdvisor! Anyway, the reviewers are quite active and competition is stiff. If you are a restaurant owner, make sure you let TripAdvisor know. In that way, you can update your establishment's listing (address, phone number, opening hours), upload photos, write a management response to a bad review and more. Start here.